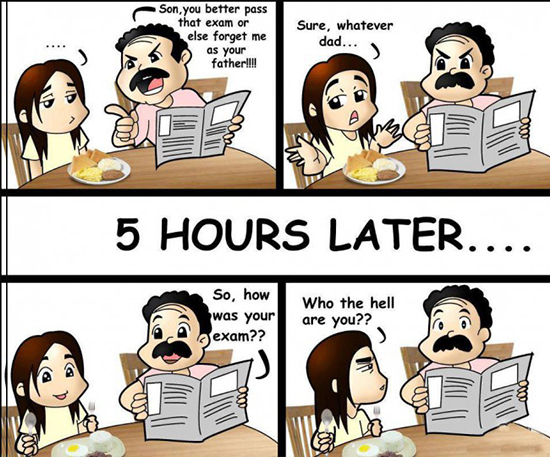 Enjoy a hearty laughter with kidsgen on Father's Day with these clean jokes compiled specially for you. You may also like to share it with others by clicking on the link at the bottom of the page. 8. "Fine I'll take you shopping"
7. 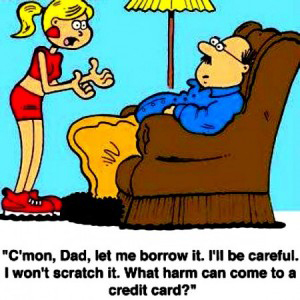 "That credit card is yours to go crazy"
6. "You might like to throw a party when we are gone". 5. "Take the test in the next season"
4." Never mind your negative scores on your studies as long as you are good behind the wheels"
3. "You don't have to work when you grow up"
2. "We don't require any more discussion on this topic"
1. "Father's Day? what's that?!" A young lad comes home to his father after he received his driver's license to ask for the use of the family car. His Father agrees with a few conditions, good grades in school, a cleaner room. neat yard, and a decent haircut. So the son says, "hey, dad, Jesus had long hair." and then his Father smilingly replies, "Yes, son, you're absolutely right. And he also walked everywhere he went." Man: How many old is your father? Q; What could possibly be the best gift to your Dad apart from the neck tie on father's Day? A; When you return his Car with gas tank full.